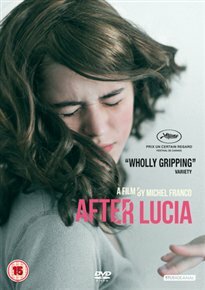 Tense Mexican drama about a teenage girl who becomes the object of increasingly violent bullying at her new school. Struggling to cope after the death of his wife in a car accident, experienced chef Roberto (Hernán Mendoza) moves with his 17-year-old daughter Alejandra (Tessa Ia) from Puerto Vallarta to Mexico City after an offer of a job. Although relations with her father are still strained due to her mother’s death, Alejandra settles in well at her new school, and soon finds herself attracted to José (Gonzalo Vega Sisto). But when an incident at a local house party turns her into an outcast at school, Alejandra’s attempts to face down her former friends result in her being subjected to an ever increasing barrage of abuse, violence and humiliation from her classmates.